Ruby Ruth characters have lots of personality. Find out who would be the most likely to watch romcoms, win an Olympic metal or even rule the world! Burt may be the first one to start a conga line at a party, but his music tastes are very eclectic. He has been known to crank up his Mozart and Beethoven quite frequently. Howard is Ruby Ruth Doll’s resident artist. He loves creating his own work as much as appreciating the masters of fine art. Kevin hopes to start his new business soon. Considering he has recently taken a business studies BTEC course, we are betting on his success. Polly once asked Jarvis Cocker to dance at a party. He said no, but she has not given up yet. Ron believes there's someone out there for everyone. If the couple doesn’t end up together at the end of the movie, you can expect tears. Who is most likely to talk to trees? Renee collects bonsai trees, and she feels a strong connection to plants in general. Who is most likely to be a heartbreaker? In the summer, Oliver can be found sunning himself on Brighton nudist beach. You can bet he has broken his fair share of hearts there. Who is most likely to watch romcoms? As a believer in love at first sight, Rita is a big fan of romantic comedies. Her all-time favorite is Amélie Poulain. Miriam is a Physics Professor. She might specialise in black holes, cosmology, particle astrophysics and quantam gravity, but you need to be very very good at math to be able to get anywhere close to that. 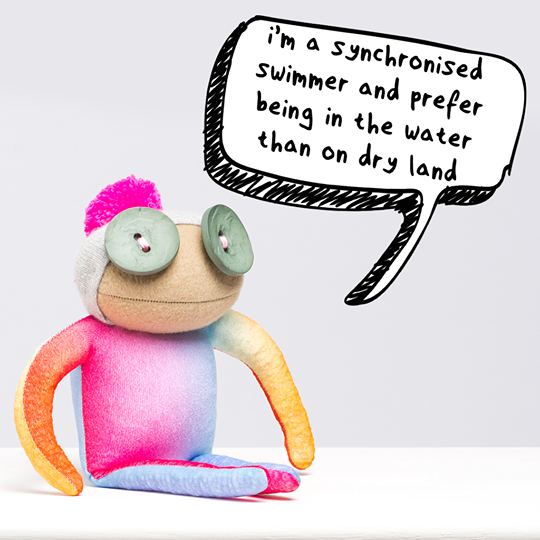 Caitlin is a synchronised swimmer who prefers being in the water than on dry land. She is hoping to land a spot on team GB for the next Summer Olympics. Alex is a pilot who dreams of retiring to the moon. And guess what? He doesn’t need money in the moon. Malcolm can often be found looking out to sea for answers… That usually happens right after he has slammed a door and stormed out in the middle of a discussion. Such a diva. Jasper is the strong and silent type. That’s exactly the type of world leader we need right now. Who is most likely to win a Grammy? Rosa is an astronaut who loves to sing in the shower. And she is equally talented at both. Beyoncè better watch out! Valerie has been the captain of her local over 60's football team for the past 12 years. That has got to be a record in and of itself! Ruby is currently building a spaceship in her garden. If she has the know-how to do that, she is definitely capable of inventing something new next. Frances is a lifestyle blogger and bird-spotting enthusiast. She actually hopes her blog gets enough traction that she gets offered a book deal soon. Earl has been in various countries. 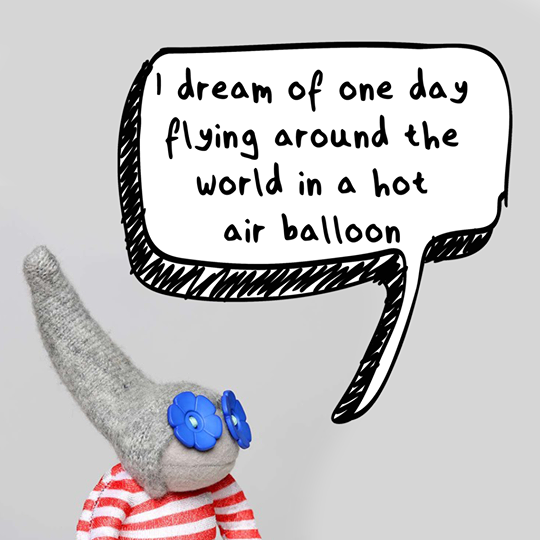 He dreams of one day flying round the world in a hot air balloon. Ingrid enjoys contemplating the bigger questions of life while doing her weekly shop at Lidl. One of those questions has been “what would she do in case of a zombie apocalypse?”. She realized she is completely unprepared. Who is most likely to laugh at the wrong moment? Rhubarb, the Easter Bunny's best friend, also runs an online dating agency. He often has clients telling him complete nightmare dating stories. But he has helped so many bunnies to find “the one”, that, whenever a new client starts to tell him about a dating fiasco, he has trouble keeping a straight face. You see, he wants to laugh because he just knows he can help. Sally may dream of being the first cat to fly a space ship to Mars. But she does have a Plan B, just in case that doesn’t pan out: she is currently taking clown classes.